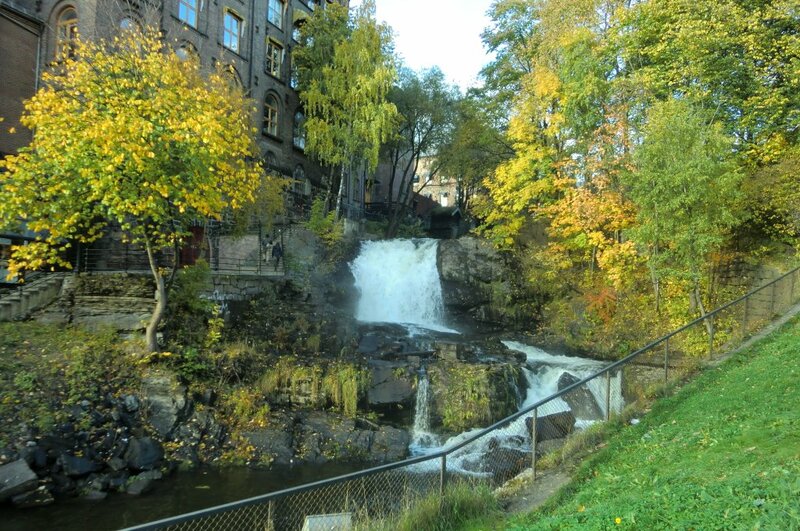 The river Akerselva, which flows through the city, has been the beating heart of Oslo since the middle ages. The industrial revolution in Norway started along the banks of the river for more than 150 years ago, and has played an important part in the development of the city. It has thus left many traces since then and we explore the old factories and homes of the workers. This part of the city has undergone many changes so we are able to compare old with new. The river itself gives a nice experience of the green nature of Oslo. Many painters and poets have been inspired and dedicated some of their works of art to the river. A visit to the Technical museum,which depicts the the old industrial machinery and the working conditions inside the factories, is recommendable. The excursion may be concluded by a visit to one of the many restaurants in the colourful and swinging Grünerløkka, a part of the city which once was the homes of the industry workers. Total length of the river is 8 km, but the walk can start from different places, depending on the needs of the clients. This walk can partly be combined with the Egebergløkken park with some adjustments.